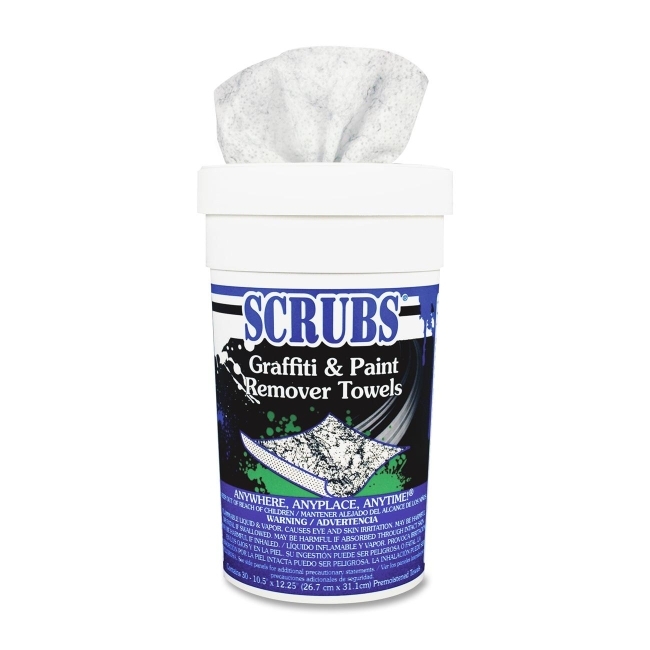 Graffiti and spray paint remover towels offer a convenient and portable one-step process to eliminate graffiti from your property. Remove paint, lipstick, grease, ballpoint ink and crayons from a variety of surfaces. Unique towels combine a high-quality graffiti remover formula with an absorbent, abrasive, nonscratching towel. Use industrial-strength towels to loosen and remove graffiti and spray paint, allowing the towel to absorb and hold residue without redepositing paint on surface. Towels work on metal, porcelain, vinyl and baked enamel paints.